What you can expect from the next installment of the blockbuster series. With a release window of 2012 still on the table for Gameloft's Modern Combat 4: Zero Hour, we're only a matter of weeks away from getting our hands on the long-awaited fourth installment in the blockbuster shooter series. To get a better idea of what the developers have in store for us, we caught up with Alex Charbonneau, Lead Designer on Modern Combat 4, to discuss the games Specialization system, development priorities, and just how they go about creating those bombastic story missions. 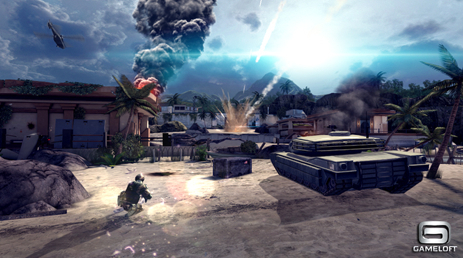 What were your priorities when developing Modern Combat 4, based on experience from the previous games? 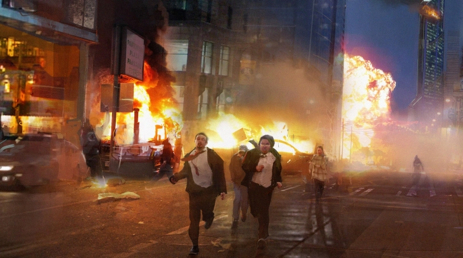 When we first started Zero Hour, we focused on figuring out where we wanted to bring the franchise for the next installment. We have a strong fan base and they love the game as it is, but we also wanted to take the game to the next level, push some of the much-loved features. It was challenging to come up with fresh and interesting design ideas that maintained the core values of the Modern Combat brand. We didn't want the game to feel like an add-on to Fallen Nation, so we came up with three pillars that would shape Zero Hour: create outstanding visuals on mobile, tell a thrilling story with unique twists and interesting characters, and build an addictive multiplayer that would satisfy players for hundreds of hours. What's the most significant change for the series in Modern Combat 4? We've redesigned so many things. Let me list just a few: A really exciting campaign with many twists and unique gameplay situations; a new upgrade system in single player that allows you to improve the main character and equip attachments on your guns in the heat of a battle; and a new "parkour" mechanic that allows you to move around with more agility in the environment. In Multiplayer we redesigned the skill system - now called 'specializations' - added all new multiplayer maps, a new party system to easily play with your friends, a brand new multiplayer armory that allows you to fully customize your weapons like no other games offer, and so much more. 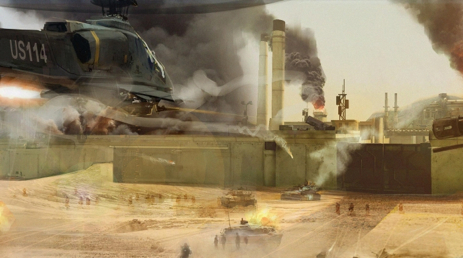 Can you talk us through the process of creating a level in Modern Combat 4's campaign? First, we figure out story elements, such as the main challenges, the enemies you will encounter, and the twists that will motivate the player to reach the end goal. We choose an exciting location for the player to experience an epic battle, allow for strategies and rewarding combat situations, decide on the time of day and discuss key events related to the environment that will add that "wow" factor. After that we enter the research phase and compile references (events, architecture, landmarks, vehicles, props, vegetation, etc.). Once we have gathered all the pieces of the puzzle, it's time to put it all together. We do a sketch called a 'top down map' that depicts the layout of the map, the major elements, the flow and the overall feel of the map. Once this first step is complete, we can now strategically place spawn points, different types of cover, obstacles, and even decide where the story cutscenes, quick time events and scripted events will take place. We often do multiple iterations, make modifications, add elements, and remove elements until we are sure that we have a strong foundation for a quality, action-packed level. Now we block or model the sketch with 3D software. This allows us to walk through the level and see how it feels in-game with enemies and cover points. We can determine if the map is too big, too small, needs more details, alternate paths and so on. The map is then given to the artists so they can start the art layer. During this process the artists may come up with ideas that will improve the map, enhance the gameplay or create a more exotic experience. At all phases of the creation process, different people (game designers, level designers, artists, producers) will give input on the map and provide insight that will lead to modifications. These modifications by experienced and talented developers are the reason why the Modern Combat games are a success. 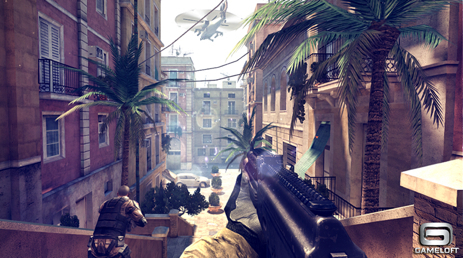 Apple's released more than a few hardware revisions since the last Modern Combat game. What challenges have you faced in accommodating these changes? It may be difficult for our customers to understand just how challenging it is to create a quality game that works on so many different devices. Even within the Apple ecosystem, we want to support older devices while taking full advantage of the specs on new devices. Our goal is to push the boundaries as much as we can and deliver an amazing product. It is as if we were making a game that must be top notch on three generations of the same console, all at the same time. 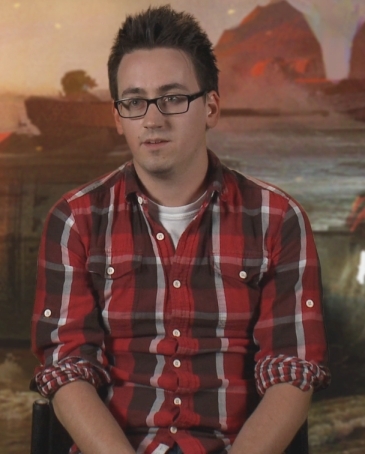 How have you gone about balancing the challenge of the game for the different specializations? We came up with the concept of the specializations for multiplayer after observing how players behaved in Fallen Nation matches. We discovered that skill selection offered a wide array of options and possible combinations. However, at the end of the day people primarily ended up in one of four main roles: front line, support, stealth and technician. So in Zero Hour, we designed a system that pushes those roles even further with more sophisticated skills and called it "Specialization."